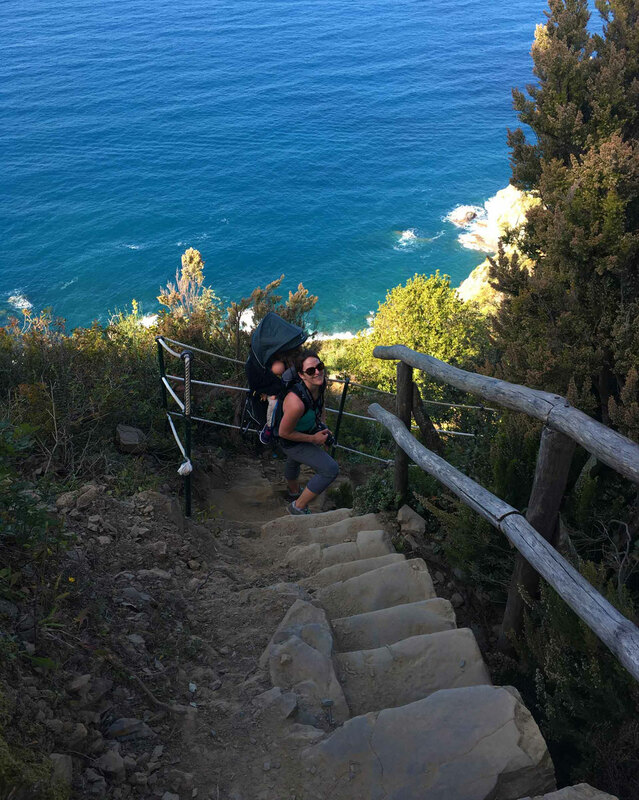 We love outdoor activities while traveling, so when we were planning a month in Italy, we knew hiking in Cinque Terre was a must. 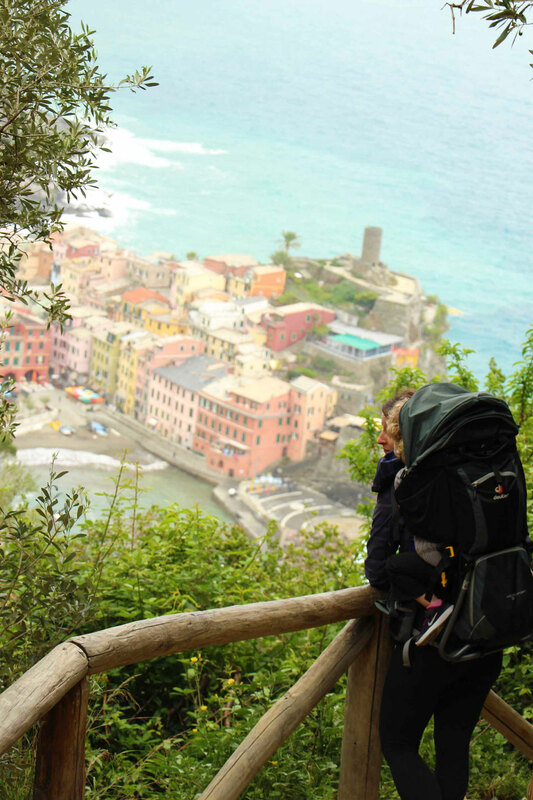 Cinque Terre is one of Italy’s most beautiful locations and the hiking between the legendary five villages is truly epic. The hiking trails often lead you to elevated viewpoints which give views you simply don’t get if you never leave the towns. And best of all, we were able to share this experience with our two kids, aged 1 & 3. Cinque Terre is a UNESCO World Heritage Site in Italy. It’s a region made up of five villages, all of which hug the coastline and mountains in dramatic fashion. 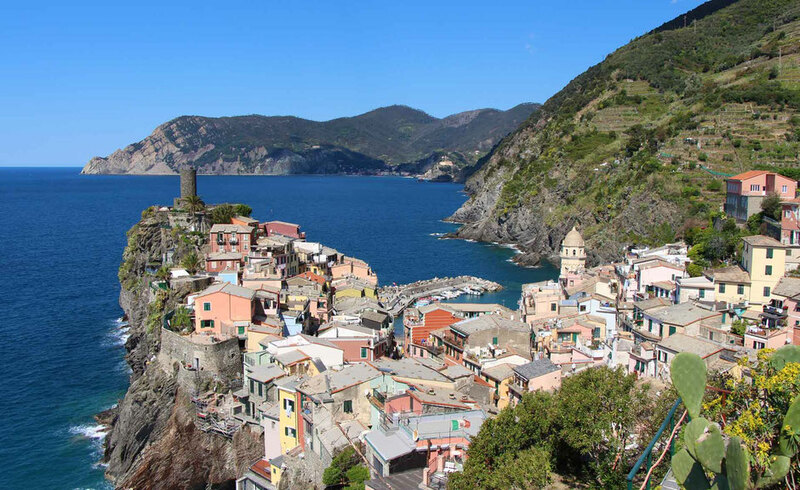 The five villages (from north to south) are: Monterosso, Vernazza, Corniglia, Manarola and Riomaggiore. Besides the historic charm of the villages, a main draw to this region is to hike the walking paths between the villages. 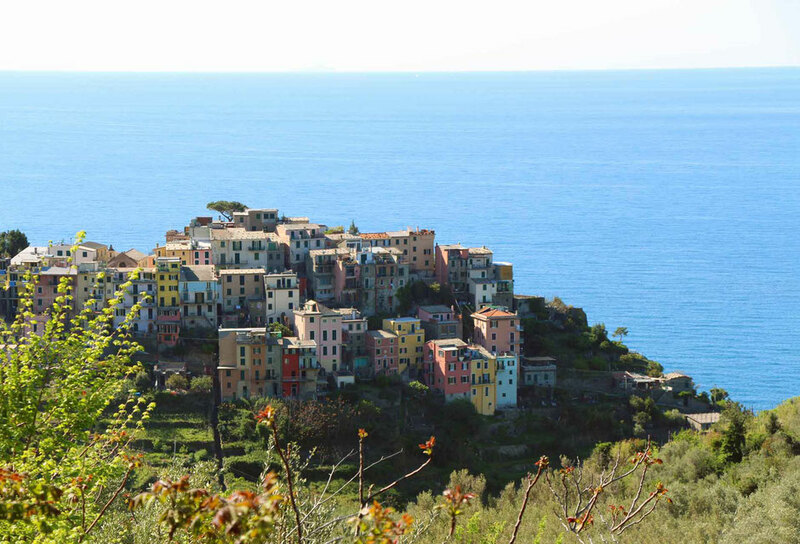 You will need a mandatory Cinque Terre Card in order to enter the park to enjoy the hikes. We recommend getting the “Treno” version of the card, which gives you unlimited train travel between the villages. 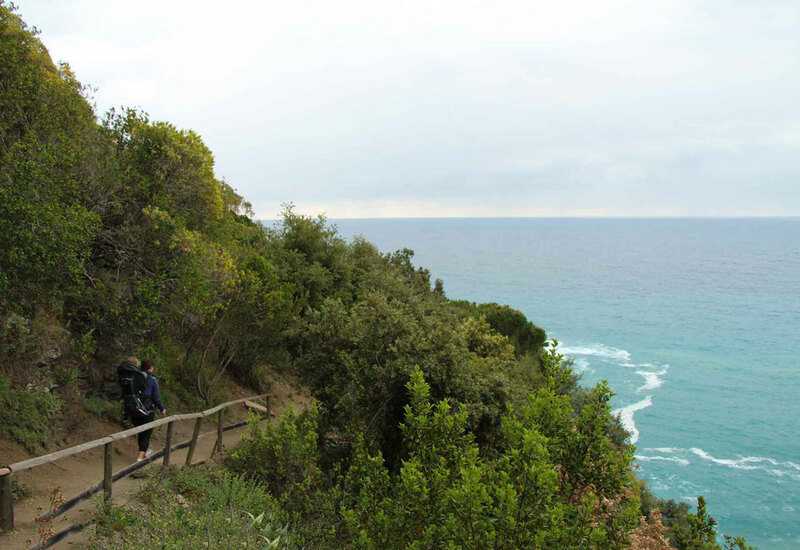 The terms “SVA” and “Blue Trail” refer to the main coastal hiking route between the five villages. Watch for the Red/White/Red trail markers which signify you are on a main trail (the SVA or a secondary path). Tip: There are route location signs along the trails, which help identify your location to authorities in case of emergency. To carry our kids we used the Deuter Kid Comfort III. We like this carrier so much that we bought one for each child. 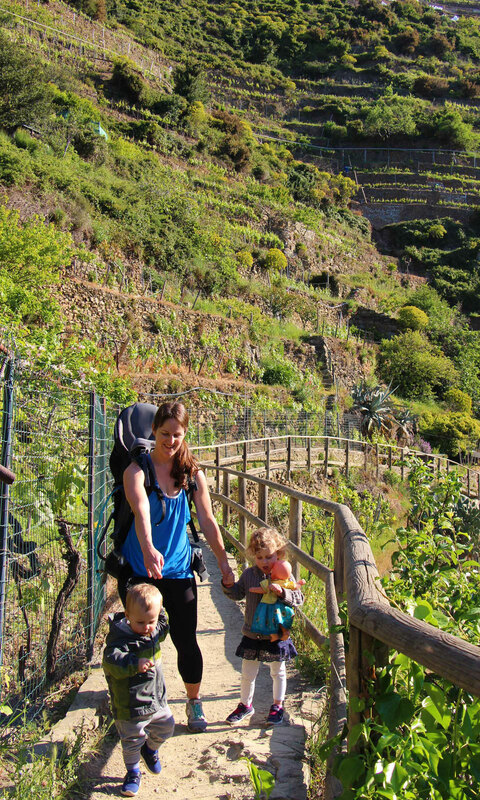 Having these carriers with us allowed us to do some real hiking (and sightseeing in the cities), while letting the kids come along for the ride. If your child is under two, airlines typically let you bring the backpack carrier as your ‘baby item’ in lieu of a stroller. We’ve brought ours to Japan, Italy and Norway as a ‘baby item’ on our flights and have never been charged extra. 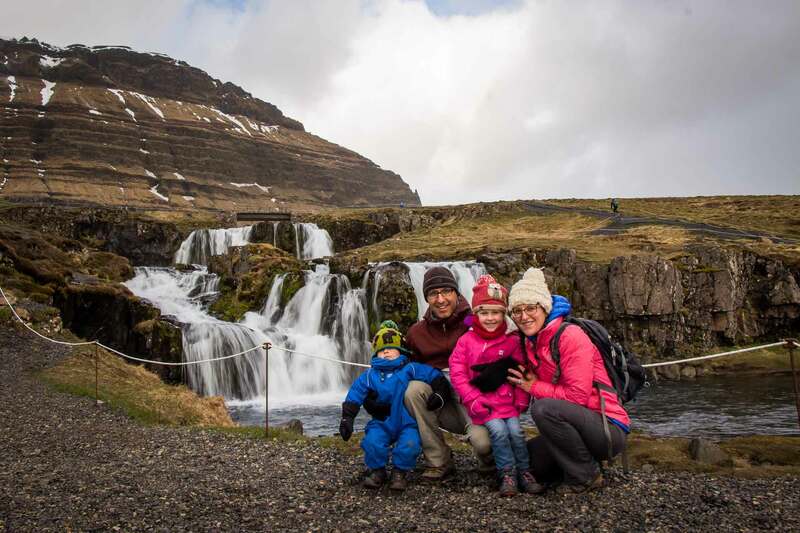 The Deuter’s have a compartment to store a hydration bladder, which is a convenient way to carry larger amounts of water for the family. 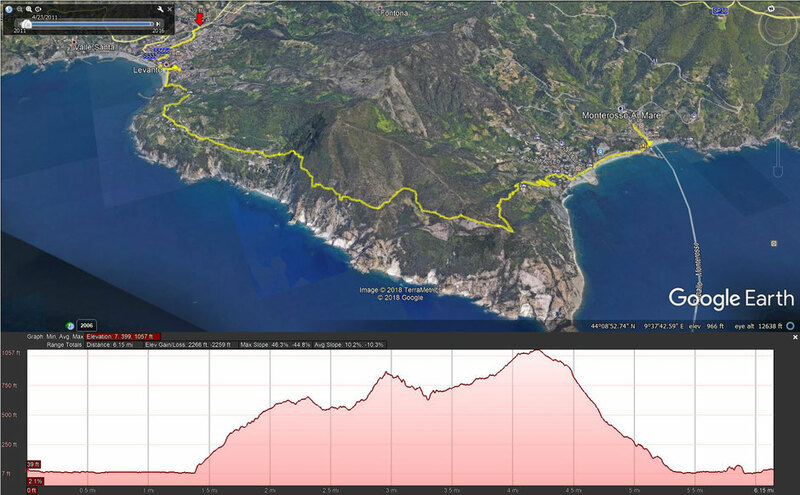 We have been using the Terra Map Pro Outdoor Trails iOS app for our travel hiking for several years now. We like how easy it is to get free topographical hiking maps from any location in the world right on your phone and how your phone’s GPS will track your current location relative to the trails. 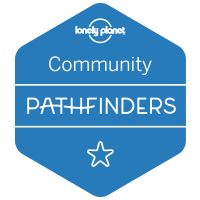 It’s also a useful app to find hiking trails in areas where they may be harder to find, such as within cities, small towns, rural areas etc. It’s a handy little tool we don’t travel without. 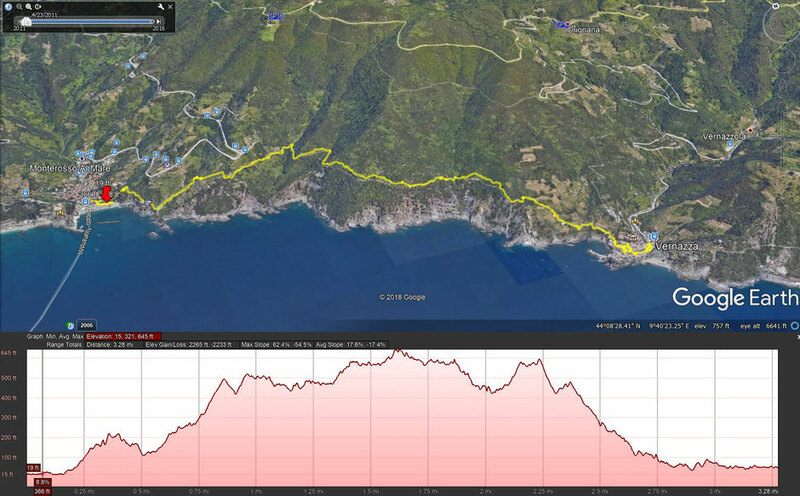 The maps and elevation charts shown below are from app data imported into Google Earth. 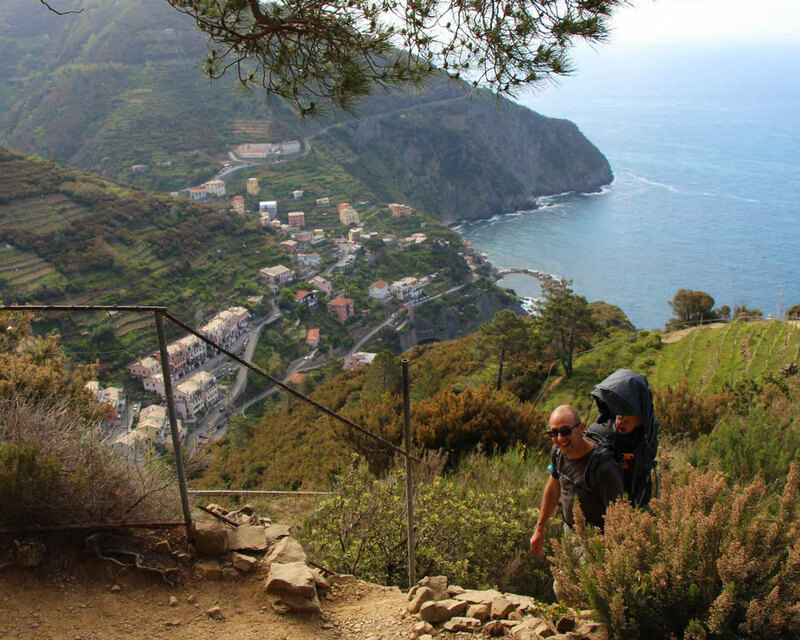 Over the course of five days, we were able to hike five trails which connected all the villages between Levano (a bigger town north of Monterosso) to Riomaggiore. We didn’t do the hikes in one straight line or direction, but rather in the sequence which worked best for us. Each of the hikes was a half-day event, which left the other half of the day to enjoy the other pleasures of the region. 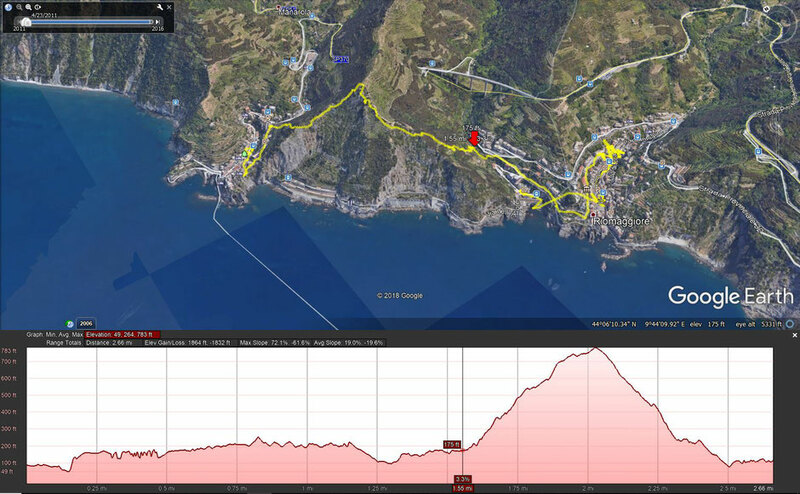 In Corniglia, the hard work begins even before you get to the trailhead! What makes Corniglia unique among the five villages is that it is not at sea level. Guess where the train station is? Yup – sea level! In order to get up to the town, you’ll need to climb roughly 370 steps up. We finished climbing the stairs at 9am and the town seemed nearly deserted. This was great time for taking pictures as the towns become overrun with people later in the day. The 90 minute hike itself was approximately 4 miles in length with roughly 1800 feet of cumulative elevation gain. 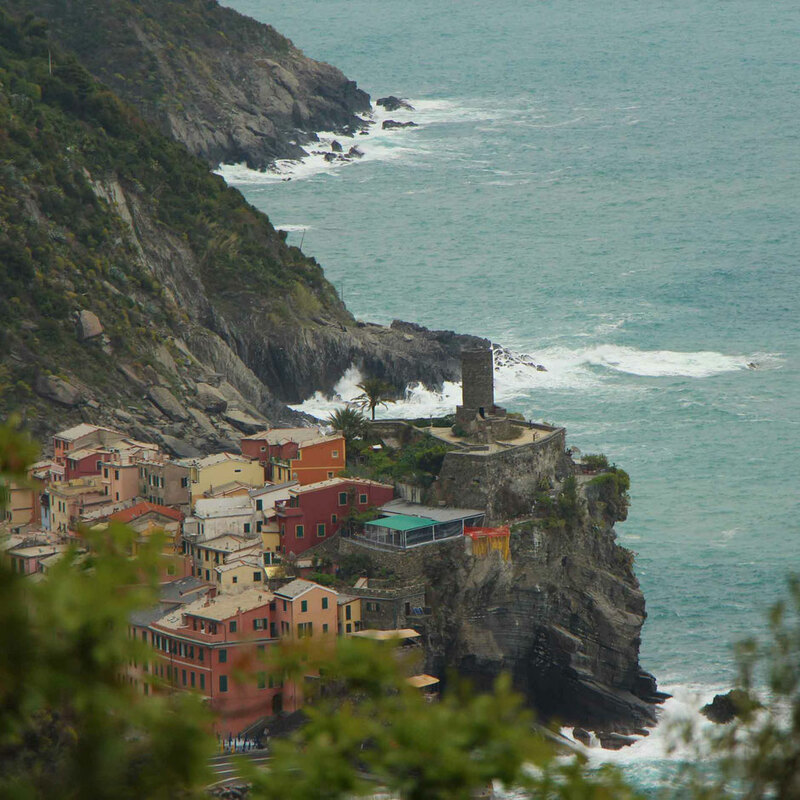 Hiking northwest towards Vernazza was a good choice as the sun was at our backs and not in our eyes. The trail is a mix of steps and dirt and there are picnic tables halfway through. This hike was hard; it was only 4.6 miles in length, but the 2400+ feet of cumulative elevation gain made it challenging enough that it took us 3 hours to complete. The path consists of a lot of steps and uneven rocks, so be sure to have proper hiking footwear with you. There was a lot of variation in scenery on this hike, which made it quite enjoyable. 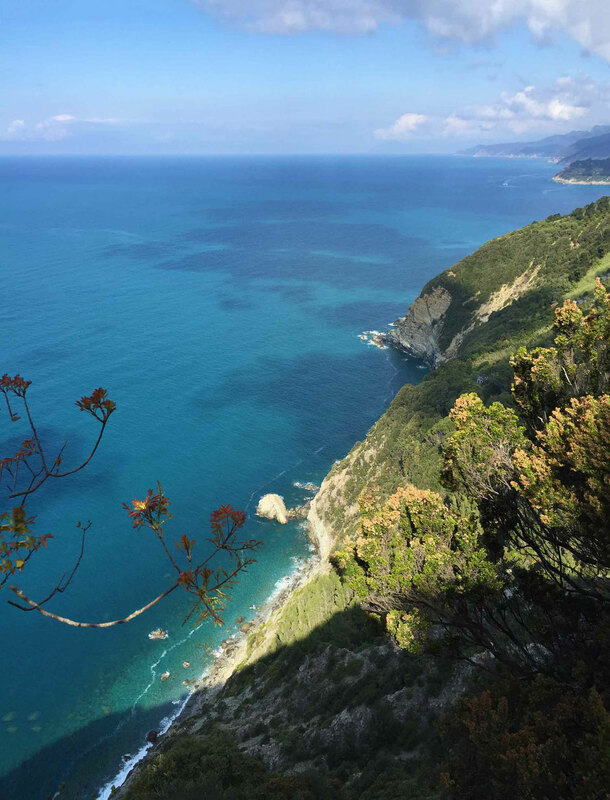 There were vineyards, olive groves, forests, sweeping views of the towns and epic ocean views. The little sanctuary town of Volastra is very charming and makes for a nice rest stop along the way. Sections of 586 are flat enough with gravel paths that toddlers could walk it for stretches – just keep them away from the edge! The famous coastal hike Via del Amore (“The Way of Love”) between Riomaggiore and Manarola is still closed due to a 2016 landslide. Current projections call for it to reopen in 2019. 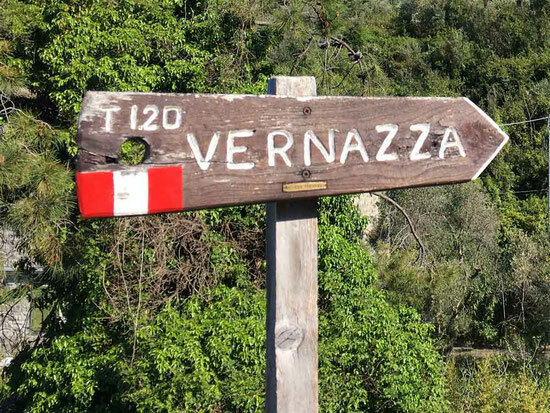 But don’t despair, you can still hike between the two villages, but it will take a lot more effort than the easy, romantic stroll of the Via del Amore. 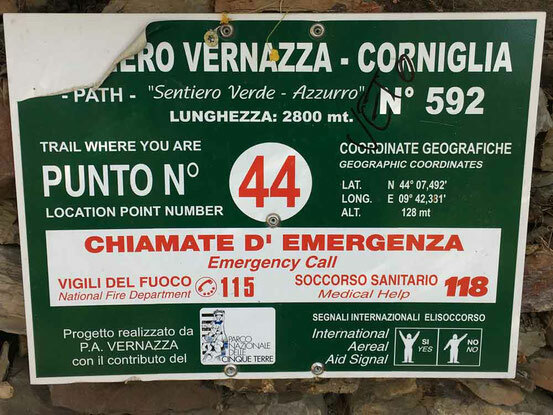 Unlike the Via del Amore, this hike is very steep uphill with steps that were quite high. This time there wasn’t much flat pathway at the top of the climb – it basically goes straight up and then straight down again. The down section was even harder as it was just as steep, but the steps were staggered, adhoc rock steps. 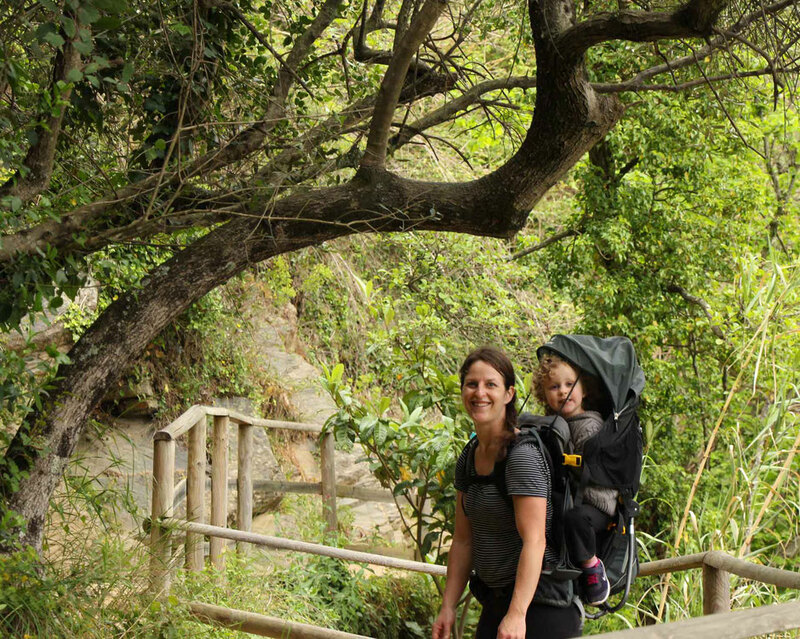 One of our favorite Italy moments happened on this hike. The Italian people were so friendly towards our kids the entire time we were there. 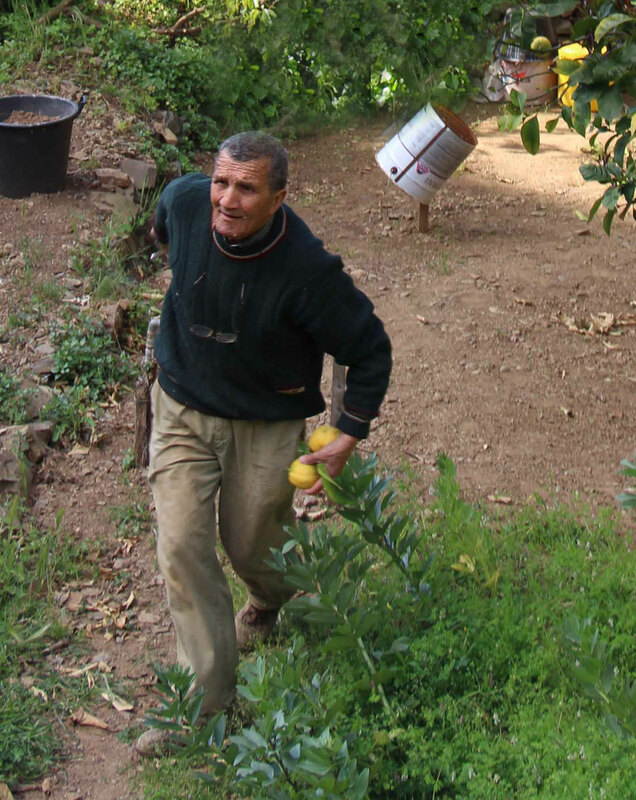 In this example of Italian hospitality, we were hiking through a patch of lemon groves when we were flagged down by a local farmer who in a combination of Italian and body language beckoned us to come back to his farm. He cut two lemons off the trees – one for each child. They were so happy! And so were we as we made an incredible lemon pasta dish for dinner that night! This is a hard hike and won’t be for everyone. Took us approximately 90 minutes to complete the 1.2m hike, with 900 feet of cumulative elevation gain. To be honest, the views were not as rewarding on this hike as there were no real stretches of pathway where you can leisurely walk and enjoy the view – instead, you are always looking down at your footing. Given it was cloudy this day, we decided to hike south-east instead as we didn’t need to worry about the sun in our eyes. The beginning part was steep with many steps, although they were “real” steps and weren’t too hard. After the steep climb, it pretty much levelled off. There were many stretches where a well-behaved toddler could easily walk, but never for too long. This hike is mostly through vineyards and trees and offers good views of both towns. The stretches of level pathway gave us a chance to look at the scenery, instead of our feet (see yesterday). This hike was approximately 3 miles long with 2,160 feet of cumulative elevation gain. It took us approximately 1h45m to complete the hike. It started to rain just before we finished and we could tell how slippery the rocks would get if it was really wet, so be careful if it’s a rainy day. 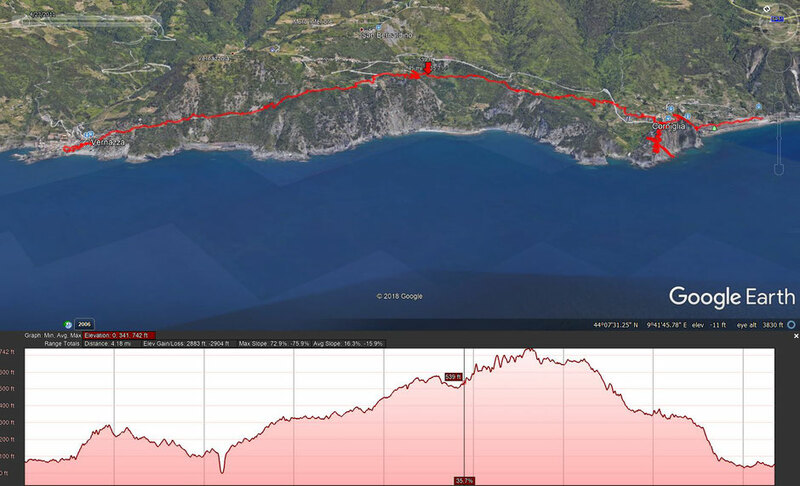 We hadn’t intended on doing the full SVA hike from Levanto to Monterosso, but as we got going, it felt wrong for us to turn around, so we decided to do the full length. It starts with well-formed stairs leading to a paved road. Once it transitioned back to pathway, it was a nice, reasonably smooth dirt trail. After 5 full days of hiking, I’m glad to report that you don’t ever get tired of the world-class scenery. At the beginning of the hike, the views looking back at Levanto and beyond are really quite nice. The pathway also offers nice views of the beautiful blue water along the coastline. There are stretches where a well behaved toddler could easily walk, but most of the hike would be too difficult for them. There are stretches where the path goes through a beautiful, dense forest. The path becomes rocky and uneven close to the turn at the top of the cape. 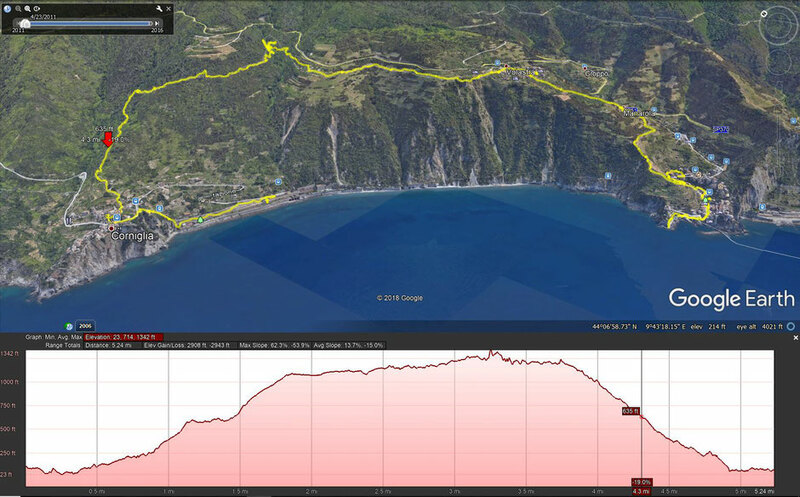 The decent into Monterosso was mostly on steps, but it transitions to paved road near the town. This 4.5m hike with 2,100 feet of cumulative elevation gain took us roughly 2.5 hours. 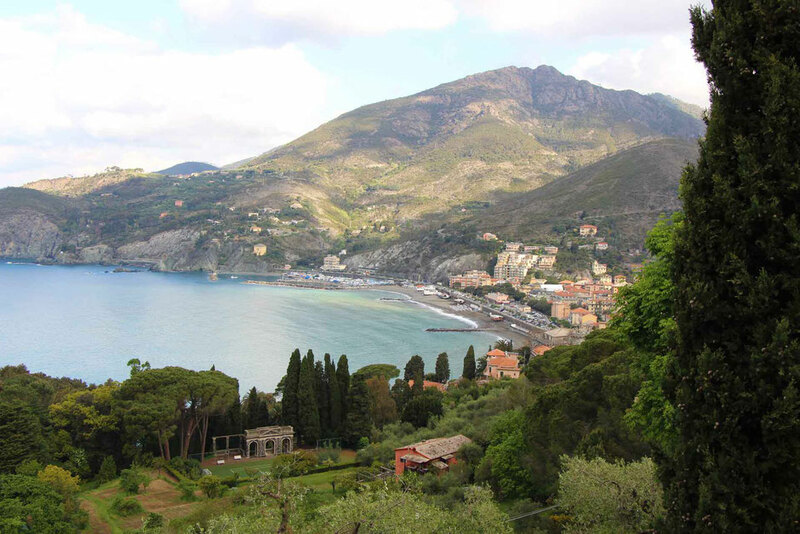 If you are interested in a family bike ride, read our blog post about a very fun & unique bike ride from Levanto. 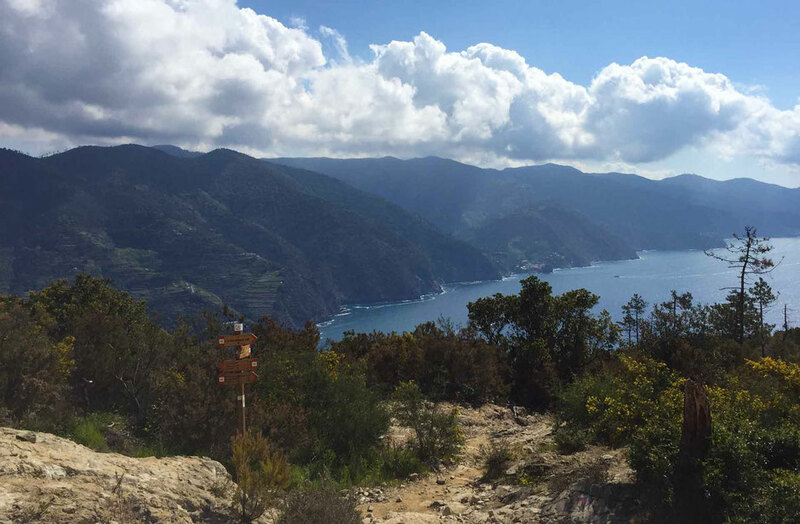 Cinque Terre ranks up there as one of the most beautiful hiking destinations we have ever visited. 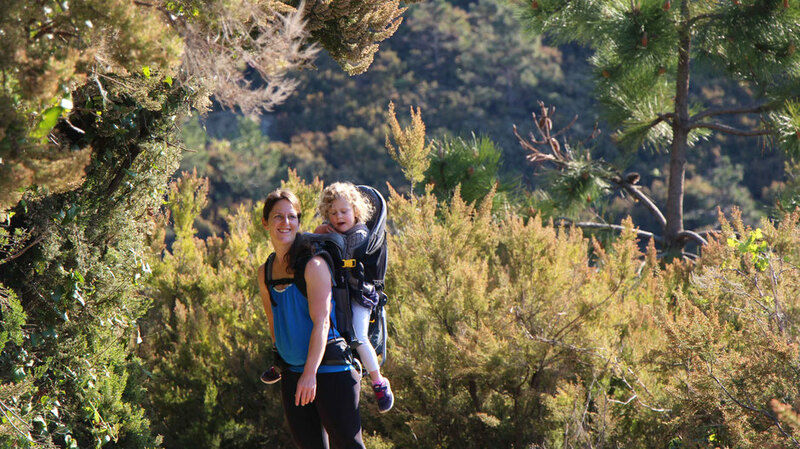 The hiking is not overly child-friendly, but we made it fun for everyone with our backpack carriers. We are so grateful we could share this experience with them. We hope your trip is as rewarding! 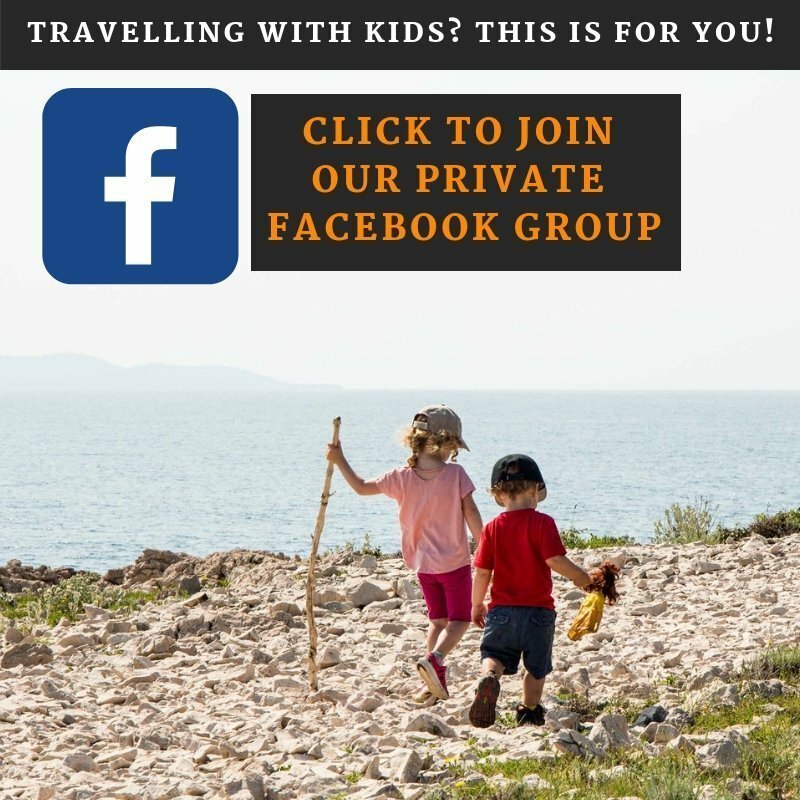 Have you taken your kids to Cinque Terre? If so, what was your favorite part? Tell us in the comments below.